Aladdin services most major brands of appliances, including many unusual or difficult-to-service models. No long waits through voice-mail prompts. No computer generated replies. At Aladdin you deal with a real person, knowledgeable about the service, and attuned to your needs and schedule. All Aladdin employees are trained and knowledgeable, and arrive clearly identified and in uniform. 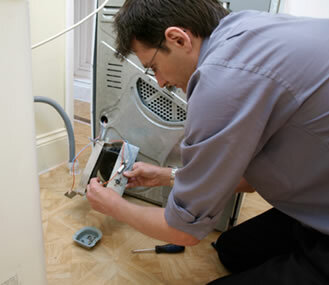 Should your appliance need additional parts or service, an Aladdin representative will contact you with updates. Copyright © 2009 Aladdin Appliance. All rights reserved. Design by PR Graphics.